The Belgian 5 franc coin of 1986 is the youngest coin in our series so far. At the same time, it is the only one which is no longer legal tender as Belgium was among the original EU member states which replaced their national currencies by euro coins and banknotes on 1 January 2002. T he coin is 24 millimeters in diameter. As Collecting World Coins informs us, in 1986, 208,400,000 pieces were minted of it, either of brass or of aluminum and bronze. The photo shows the obverse with the profile of King Baudouin I and the coin divided into three parts. Five francs is also the value of the oldest Belgian coin, a silver 5-franc piece dating from 1832. Belgium’s economic history is a history of cooperation. Belgium is a small country and as such has a strong interest in establishing peaceful and cooperative relations with its neighbors and, in particular, to maintain close economic ties. The history of Belgium is a history of monetary unions: Belgium was a member of the Latin Monetary Union which existed from 1865 to 1926. Together with France, Italy and Switzerland, and later a number of other countries, it created a coinage system with common standards of weight and fineness. The Latin Monetary Union was a bimetallic system where the four initial members agreed to change their national currencies to a standard of 4.5 grams of silver or 0.290322 gram of gold at a ratio of 15.5 to 1 and make them freely interchangeable (Wikipedia). Spain and Greece joined the Union in 1868. Romania, Bulgaria, Venezuela, Serbia and San Marino followed in 1889. In 1904, the Danish West Indies adopted the standard without joining. In 1922, the Belgium–Luxembourg Economic Union came into force. Under the terms of the treaty, the economic frontier was lifted and the Belgian franc and Luxembourgian franc were set at a fixed parity, which was revised twice in 1935 and 1944. The original treaty lasted for fifty years. It was extended several times and in December 2002 a new convention was signed. The union is regarded as forerunner of Benelux, which also includes the Netherlands. The history of Belgium is also closely linked to the most recent history of European political, economic and monetary integration. The above 5 franc coin was minted during the Delors era. Jacques Delors served as president of the European Commission from 1985 to 1994, a period which can be regarded as the time of the Big Leap of European integration. In 1986, there were two important events. One was the accession of Spain and Portugal. The other, even more important one, was the creation of the Single European Act (SEA). The SEA, the first major revision of the 1957 Treaty of Rome, was an ambitious project to establish a Single European Market by a fixed date: 31 December 1992. Although without official role in the intergovernmental conference set up for Treaty amendment Jacques Delors and the European Commission were hugely influential in the SEA enactment process. Monetary Union was regarded as a logical extension of economic integration by the founders of the SEA. “Who ever heard of a single market with eleven currencies?” asked Valéry Giscard d’Estaing (quoted here). At that time, few people foresaw the dire consequences of imposing a common currency on a union of strongly heterogeneous, barely integrated economies with a large variety of never to become truly integrated national financial markets and systems, and the few warning voices were ruthlessly swept aside. Who was the man on the coin? King Baudouin I ruled the Kingdom of Belgium for 42 years, from 1951 to 1993. 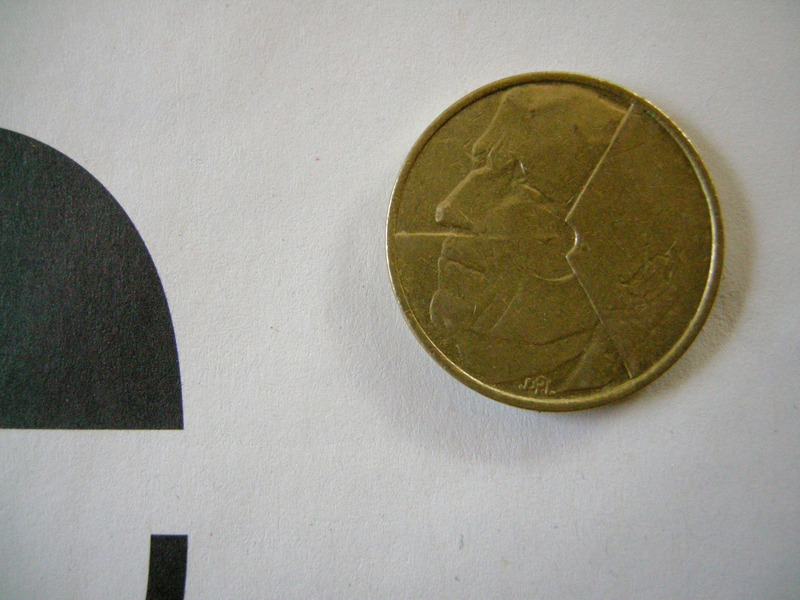 The side of the coin with his face is strangely cut into three sections. Maybe a reference to the three regions of his deeply divided country, the Flemish, the Walloon and the Brussels-Capital Region. The offical website of the Belgian Monarchy and the King’s obituaries draw the picture of a shy, honest and hard-working man who was confronted with many challenges from within and outside. This video shows the proclamation of Baudouin, just 20 years old. Some details about the Latin Monetary Union can be found in “Money – A History” by Catherine Eagleton, Curator of the British Museum, and Jonathan Williams. The little book by Hanneke Siebelink on The 50 Days that Changed Europe gives a short impression of the key events around the creation of the SEA. An overview of the role of financial services in the Single Market framework is given here, chapter 6. Official biography of King Baudouin from the website of the Belgian Monarchy.